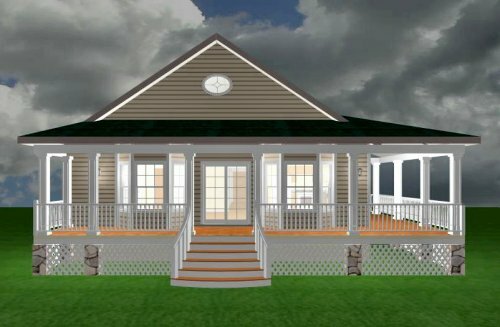 Single Story Home Under 2500 Sq.Ft.-DEL000225-Carolina Coastal Designs, Inc. 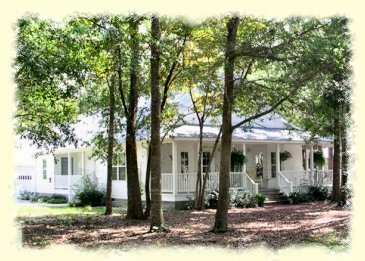 This charming 3-bedroom ranch, designed to maximize the views provided by its corner location, is located in the serene community of River Run Plantation on the southern coast of North Carolina. A charming covered porch welcomes you into this lovely home which is designed with an open floor plan to maximize the core living space. A dramatically vaulted ceiling tops the great room, the kitchen and the dining areas. 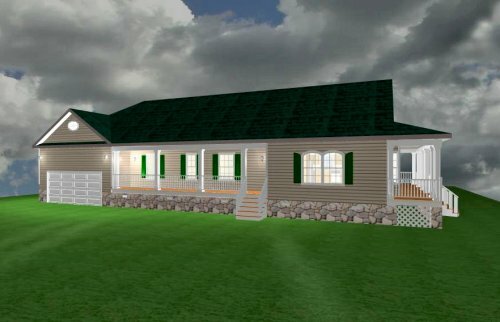 These rooms share charming bay windows, a warming gas fireplace, and open onto a spacious covered side porch that runs the full width of the house. The rear porch is screened and accessible to the breakfast room for outdoor dining enjoyment. The master bedroom suite has a large private bath with a spa tub and spacious walk-in closet. 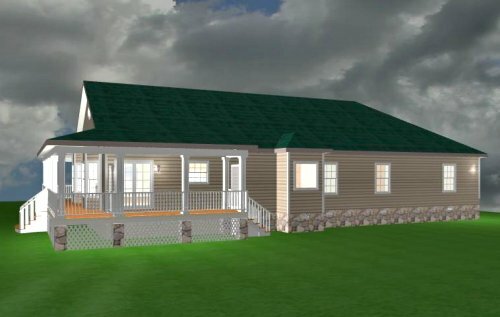 Two additional bedrooms and a full bath, along with a laundry room, complete this floor plan. A large storage room is provided adjacent to the 2-car garage.